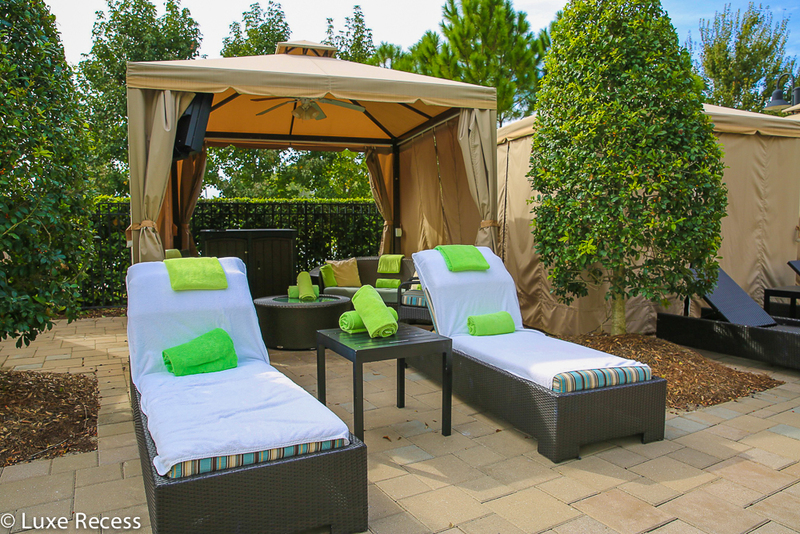 The Hilton Bonnet Creek shares a property with the Waldorf Astoria Orlando and offers the best value for affordable luxury near Disney World in Orlando. Guests have access to both properties, which means five-star amenities are available at four-star prices. 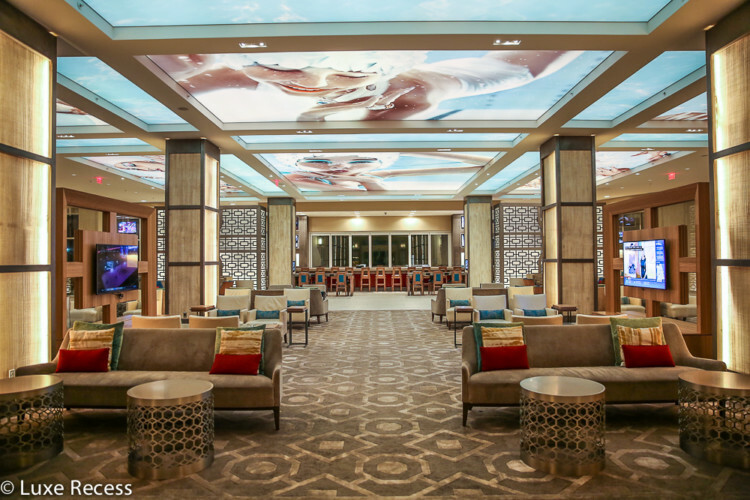 Love the stylish lobby of the Hilton Bonnet Creek. Photo courtesy of Robin Hutson, Mindful Traveling Mom. The Hilton Bonnet Creek and the Waldorf Astoria Orlando are not official Disney World resorts, but the next best thing. 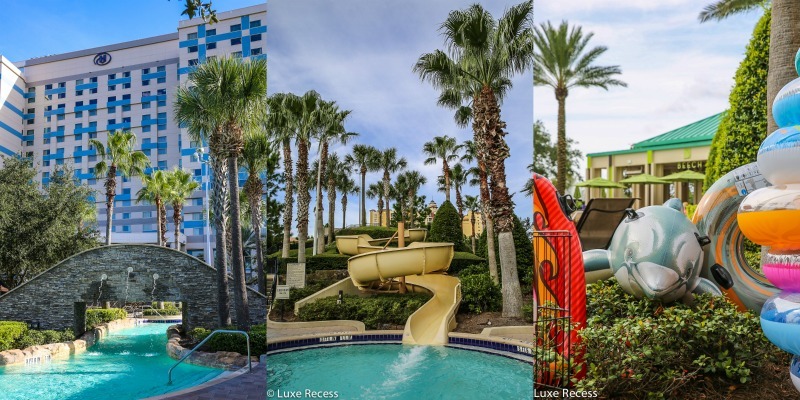 The Bonnet Creek properties are so close that its neighbors, Disney’s Hollywood Studios, and Disney’s Pop Century Resort, give the feeling that you are, indeed, on Disney property. Hotels similar would be the Walt Disney World Swan & Dolphin hotels, both managed by Starwood-Marriott but within the physical boundaries of the Disney World Resort. But compared to the Walt Disney World Swan and Dolphin properties, which feel very dated, the Hilton Bonnet Creek hits all the right style and design notes. I love walking into the lobby and seeing the illuminated ceiling art of bathing women with deep shades of lipstick blowing air bubbles and kisses. Vintage bathing suits and bathing caps adorn the walls in addition to high fashion photography. This stylish poolside vacation destination works well for those who wish to pretend Disney World is miles instead of only minutes away. I’m a regular to this property and one thing that I love is the lobby fragrance. Most luxury hotels have signature scent, but that of the Hilton Bonnet Creek and Waldorf is a scent that hits all the right notes for me. Just one sniff and I’m instantly on vacation. You can read my photo review of the Waldorf Astoria Orlando, which shares the property, for more details of its amenities. A double queen guest room at the Hilton Bonnet Creek. 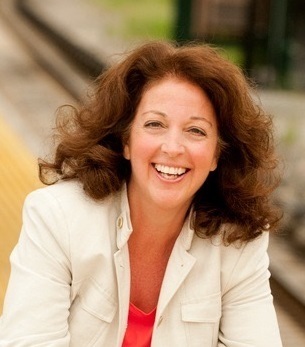 Photo courtesy of Robin Hutson, Mindful Traveling Mom. 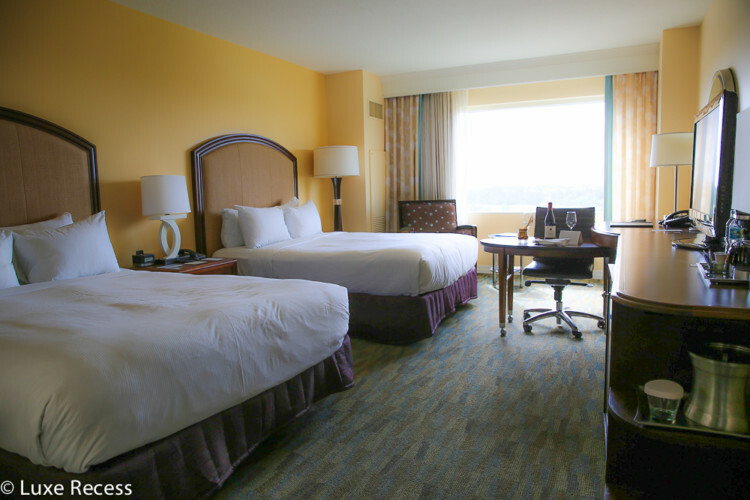 Park view rooms face Hollywood Studios and offer a great view of the Star Wars fireworks. 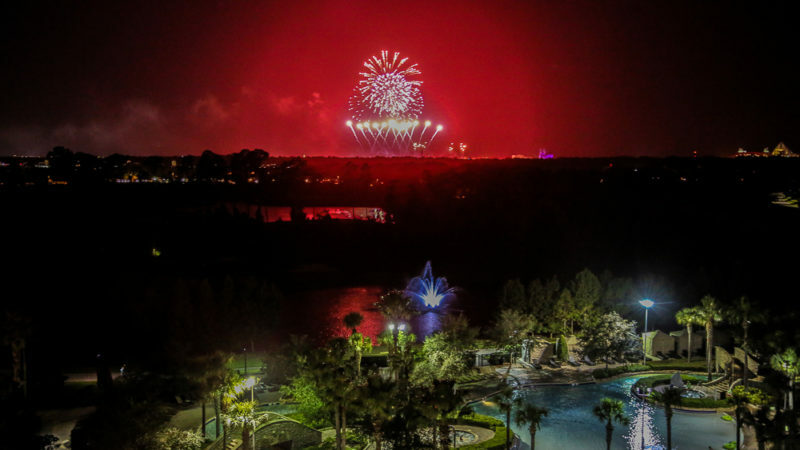 Epcot fireworks can also be seen from most park-view rooms. Rooms come with mini-fridges. The Hilton Bonnet Creek offers an on-site Disney store staffed by official Disney cast members. They can assist with activating magic bands and linking them to your account. A large arcade is next to the Disney store at the Hilton Bonnet Creek. 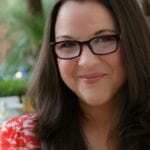 Photo courtesy of Robin Hutson, Mindful Traveling Mom. Daily poolside activities for kids at Hilton Bonnet Creek. Photo courtesy of Robin Hutson, Mindful Traveling Mom. There are many games to play in the arcade adjacent to the Disney store. There’s also a daily recreation program with different crafts to create or games held poolside. Crafts require an extra fee from $5 to $10. 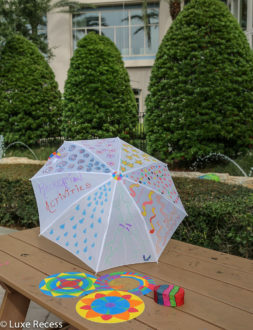 Mandala art, umbrella decorating, and treasure boxes are some of the examples children can choose at the recreational picnic table in the island in the center of the pool. Guests of the Bonnet Creek resorts do not have access to Early Magic Hours at the Disney parks, but just use my favorite Disney hack for early entry to the parks any morning. I love the pool at the Bonnet Creek properties. Well, actually, I love both of them, because there are two pools to choose from. 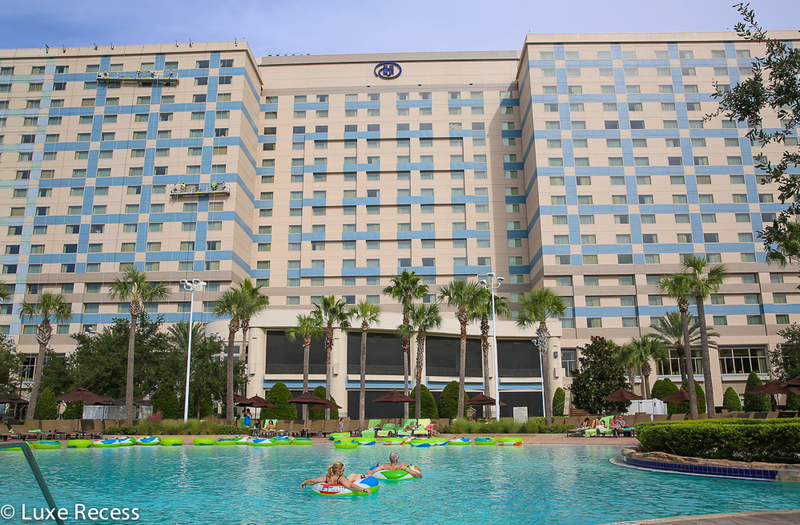 The Hilton pool has a wonderful lazy river, a zero-entry beach area where children enjoy playing with the large lime green inner tubes and a descending water slide. There is also a baby pool with splash features in the center of the pool area. Pool cabanas at the Hilton Bonnet Creek. Photo courtesy of Robin Hutson, Mindful Traveling Mom. The poolside café, Beech, serves memorable lunches with the chicken tandoori wrap being a favorite. All sandwiches come with house made potato chips that are a cross between a chip and a French fry. Poolside cabanas are available for additional service and seclusion. Guests can also walk over and use the Waldorf Astoria pool if they choose, which is better suited for children too young or too old for the water slides and lazy river. The Waldorf Astoria pool has excellent poolside service and many cabanas, and an incredibly large zero entry area perfect for pre-swimmers. Hilton Bonnet Creek offers a lazy river, water slide, and excellent poolside dining. Photo courtesy of Robin Hutson, Mindful Traveling Mom. Each property has its own fitness center overlooking their pools, but the Waldorf Astoria hosts the spa for guests of both properties. The Waldorf Astoria spa is incredibly spacious and tranquil and will feel very different then a spot at the Disney resorts. I’ve had both an excellent massage with a practitioner extensively trained in sports medicine and injury, and a Hydro therapy treatment on a different occasion. There’s no coed lounge area at the spa, so it’s not an ideal couples’ experience but it’s great experiencing by yourself or with other women. What keeps me going back is that the Bonnet Creek properties offer an oasis from the crowds of Disney World. I prefer to recharge with my kids after a busy day at the park. This is key to finding a Disney World vacation relaxing and not stressful for parents. 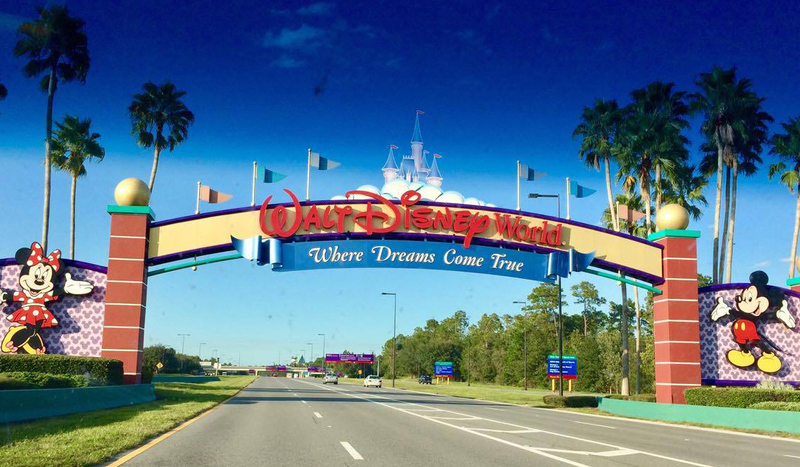 Here are my other tips to plan a stress-free Disney World vacation. La Luce at Hilton Bonnet Creek offers Italian food. Photo courtesy of Robin Hutson, Mindful Traveling Mom. Guests have many choices of restaurants while staying at the properties. Harvest Bistro and Oscar’s offer buffet breakfasts which can get crowded because of their popularity. At Beech, most have lunch poolside. 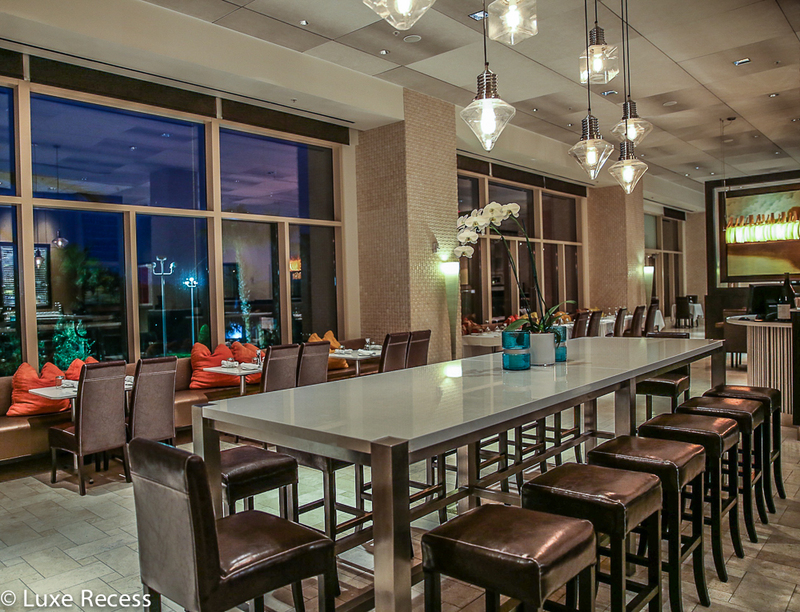 La Luce and Zeta offer Italian and Japanese dinner options, and the Muse, off the Hilton lobby, is a convenient counter service option for families looking for easy snacks, sandwiches, incredible ice cream, and salads. The Myth lounge is very popular for drinks with pool views. Photo courtesy of Robin Hutson, Mindful Traveling Mom. If you have the time, I enthusiastically recommend making the walk to the Waldorf Astoria in the morning where the Peacock Alley makes a cold brewed, iced Ethiopian coffee that is worth its weight in gold. Every parent should have one before hitting the parks with kids. During the summer, holidays, and the Epcot Food & Wine festival, the Hilton and Waldorf offer extra events for seasonal culinary fun: cupcake festivals, chocolate and champagne bars, macaroon bars, craft beer tastings, and more. Given that rates hover around $200 for a room at the Hilton Bonnet Creek, I think it offers exceptional value for the experience. 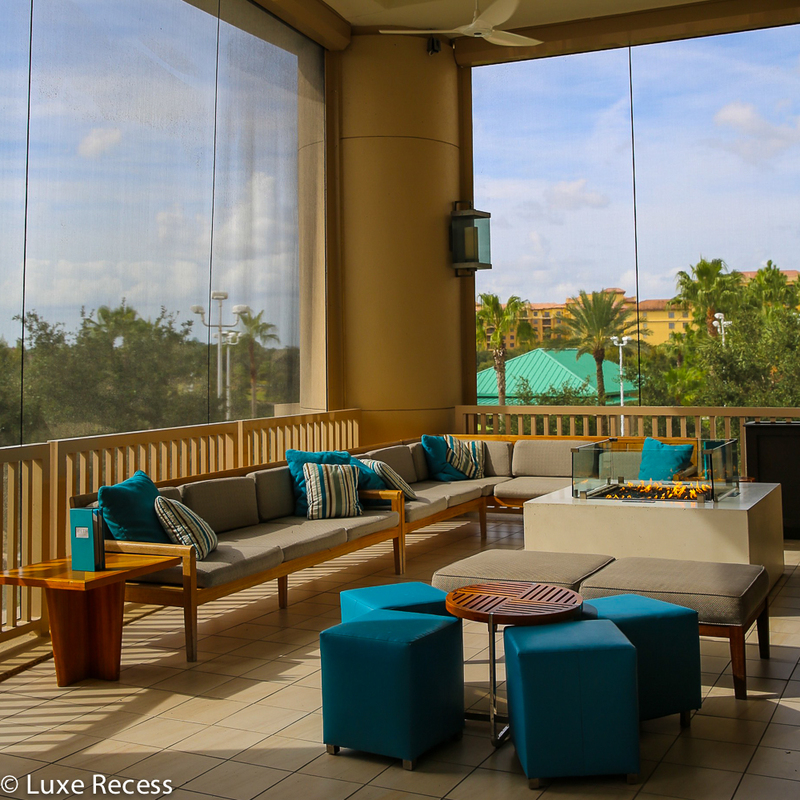 Hilton Honors members receive additional private sales and free Wi-Fi while on site, and I’m told the junior suites and suites at the Hilton Bonnet Creek are some of the best value for any suites near the Disney parks. The Hilton Bonnet Creek has self parking, for a fee, as well as scheduled bus service to the Disney parks. There is also a hotel car I took to Magic Kingdom one morning for a flat fee was $25. I also took a taxi from Epcot back to Bonnet Creek, and the fare came to $10.80. 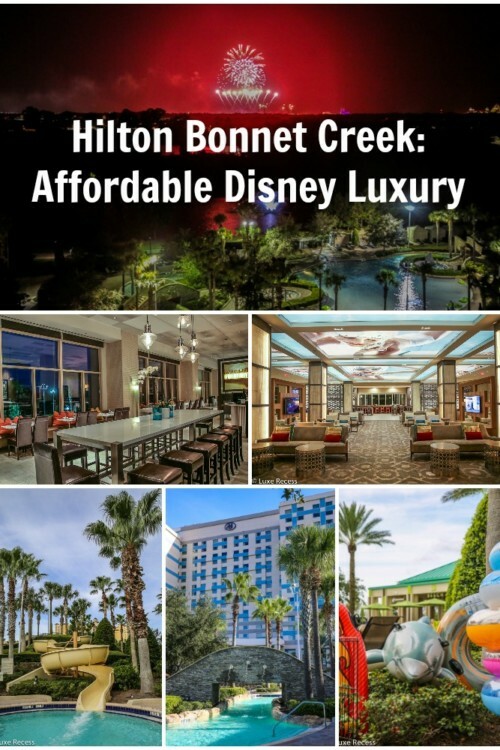 While no one likes paying extra for parking and a resort fee, the Hilton Bonnet Creek still comes in well under $300 per night with those included along with a few taxi rides when the hotel’s park transportation doesn’t fit your schedule. The quality of the rooms, food, and service easily match or outperform their Disney deluxe counterparts for families willing to sacrifice the Disney theming. Parents doing Disney World right at the Hilton Bonnet Creek. Photo courtesy of Robin Hutson, Mindful Traveling Mom. 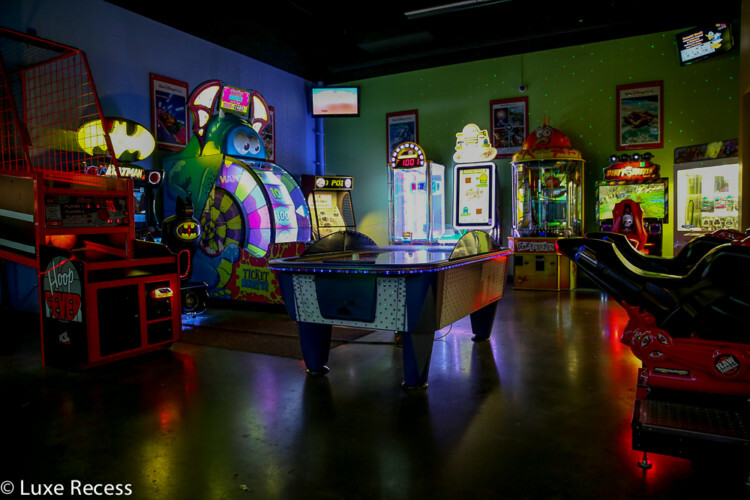 Looks like the game room is a destination unto itself!